We drove from NC to FL, with an intended overnight stop in Savannah, GA (the halfway point). We ended up making it to Jacksonville, FL instead before stopping. 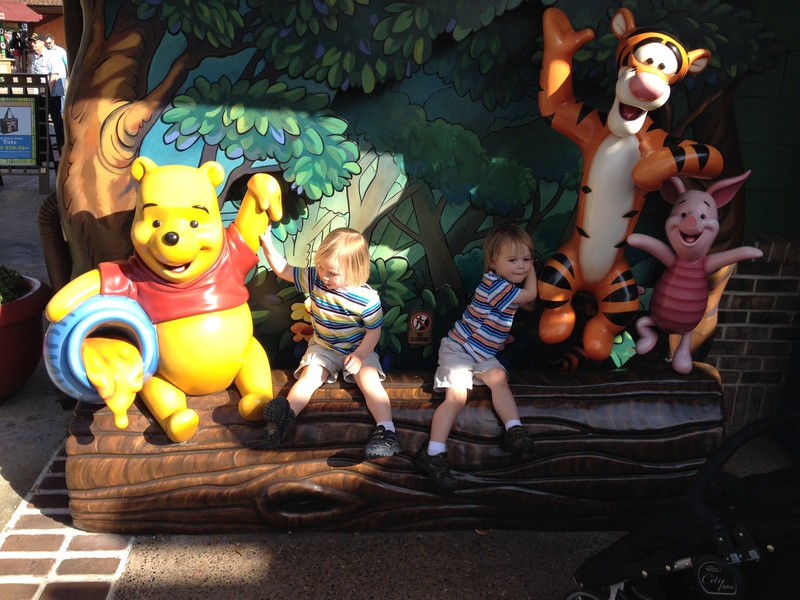 We stayed off-site within walking distance to Downtown Disney at the Holiday Inn Lake Buena Vista Downtown. No complaints. Quick check-in, clean room, shuttle was on time and although the driver was a little erratic I think that’s par for the course. The shuttle ran every 30 minutes starting an hour before park opening. We even had time to enjoy the pool. This was an inexpensive option at only $150/night including taxes and fees. We walked to Downtown Disney, which took less than 10 minutes from our hotel. This area has several cool shops, and we mainly stuck to the toy stores. 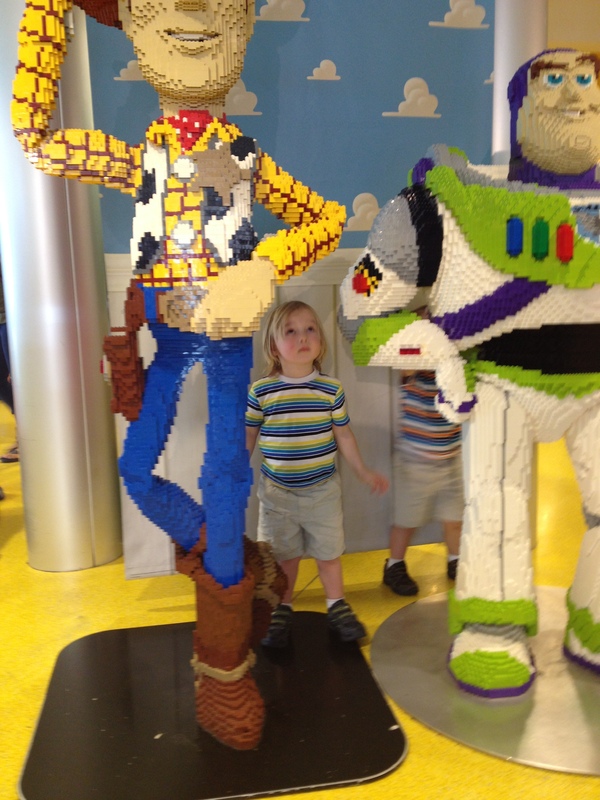 We did spend some time in the LEGO store and admired the artwork in The Art of Disney. 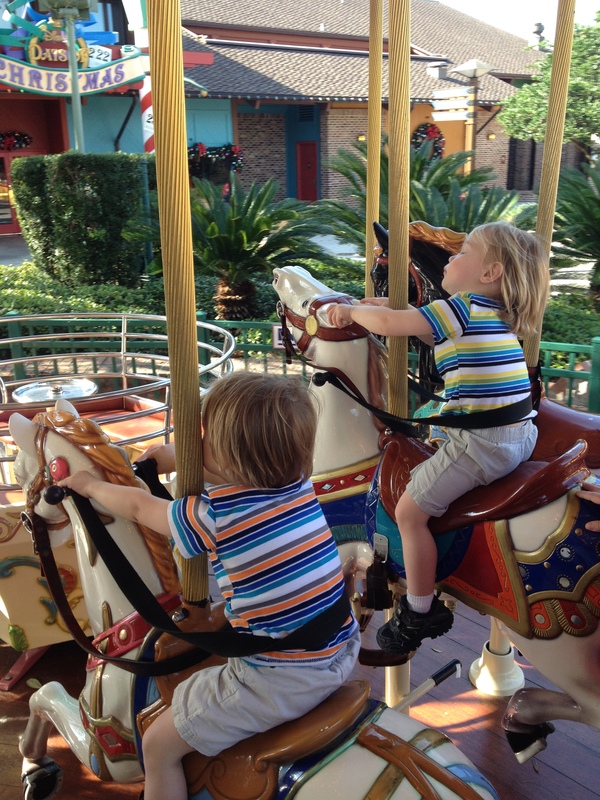 The boys rode a carousel (their first taste of a ride!) 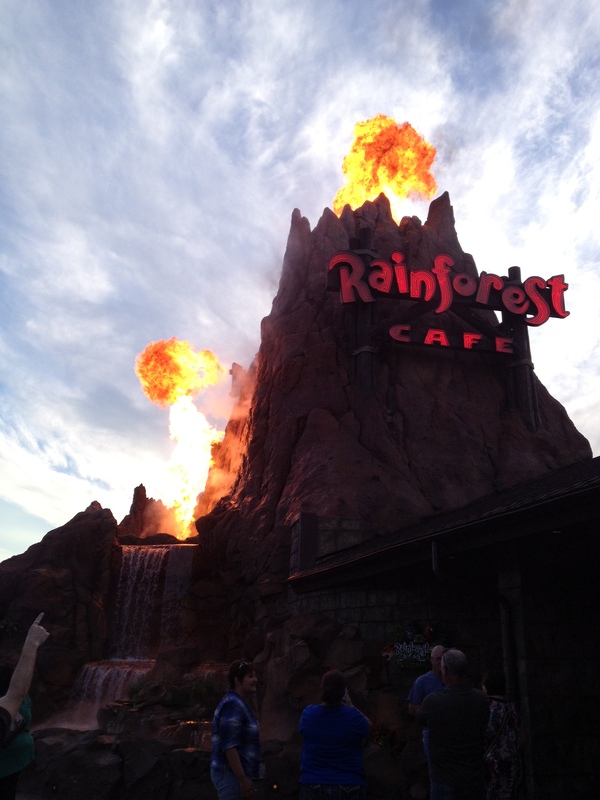 and a train, then we met up with my sister and brother-in-law for dinner at the Rainforest Cafe. We spent a full (and I mean FULL) day at Magic Kingdom our first day, so we bought base MK tickets without any of the upgrade options. The total was only a little over $200, since the boys are not yet three. In advance, I had registered for an account on MyDisneyExperience and tied our tickets to it. We also downloaded the app so we could access it in the parks easily. Using this site/app, we were able to choose three rides/character meets in advance for FastPass+. 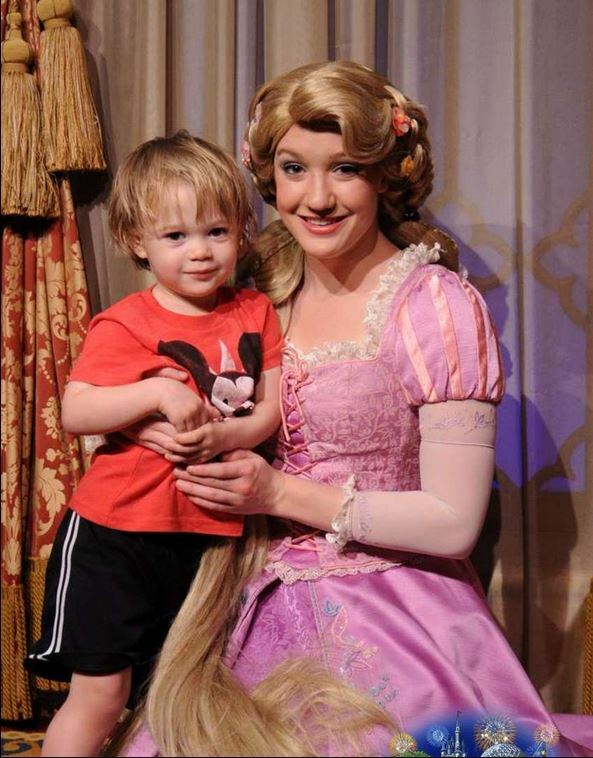 I selected experiences I thought the boys would enjoy that typically have longer wait times, which ended up being meeting Mickey Mouse in the Town Square Theater, Meeting Rapunzel (E LOVES the movie Tangled) and Buzz Lightyear’s Space Ranger Spin. We planned to head straight to Peter Pan’s flight upon arrival since the wait time builds quickly there too. Peter Pan’s Flight was even more popular than I thought! We went right there and it was already up to a 30 minute wait, so we skipped it and rode the Carrousel first instead. We noticed Rapunzel only had a 15 minute wait, so we headed there next and used our phone app to change our Rapunzel FastPass+ over to Peter Pan’s Flight instead. App success! The queue went quickly for Rapunzel but when we arrived, E was terrified and climbed my body like a spider monkey. N eventually stood next to her, but even he took a little coaxing. 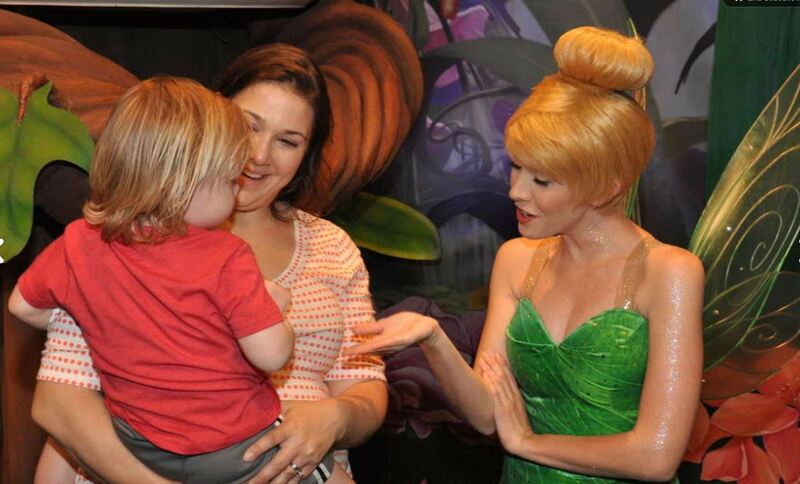 They both flat out refused to even look at Snow White, so we just thanked her and carried on. We next waited for Tinkerbell (this was our 20 minute wait) but unfortunately the boys had a similar reaction. They just were not into the “real people” character meets! After this, we rode several other rides (such as Dumbo, It’s a Small World and the Mad Tea Party, which didn’t have waits) and watched some shows and parades. We grabbed some hot dogs for lunch (instant regret), then used our FastPass+ for meeting Mickey (they were also a bit frightened for this one – he talks! ), Peter Pan’s Flight and Buzz Lightyear’s Space Ranger Spin. After the Buzz ride, they were able to meet Buzz and this was their favorite character meet of the day. E wanted to press all of his buttons, and when he pressed the power button, Buzz deactivated until they turned him back on. It was really fun. 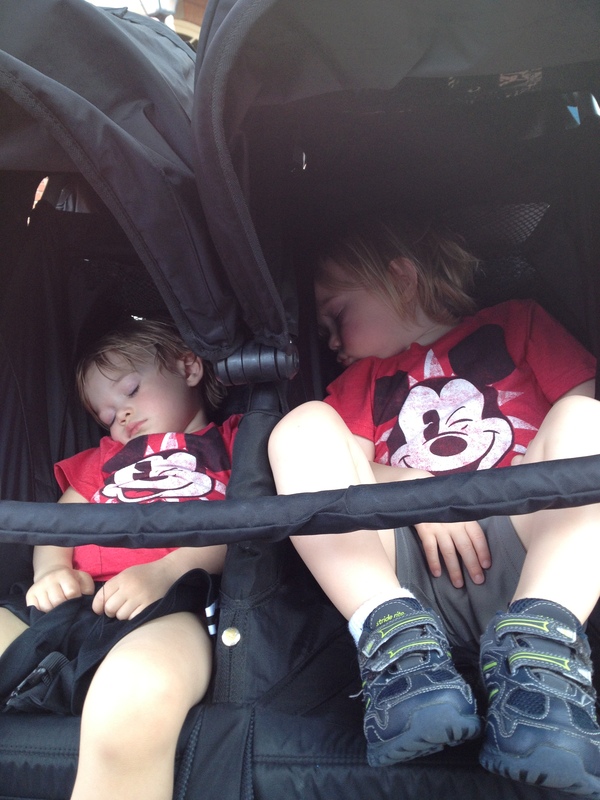 We walked all over the park and saw a new parade called the Festival of Fantasy while the boys napped in their stroller. 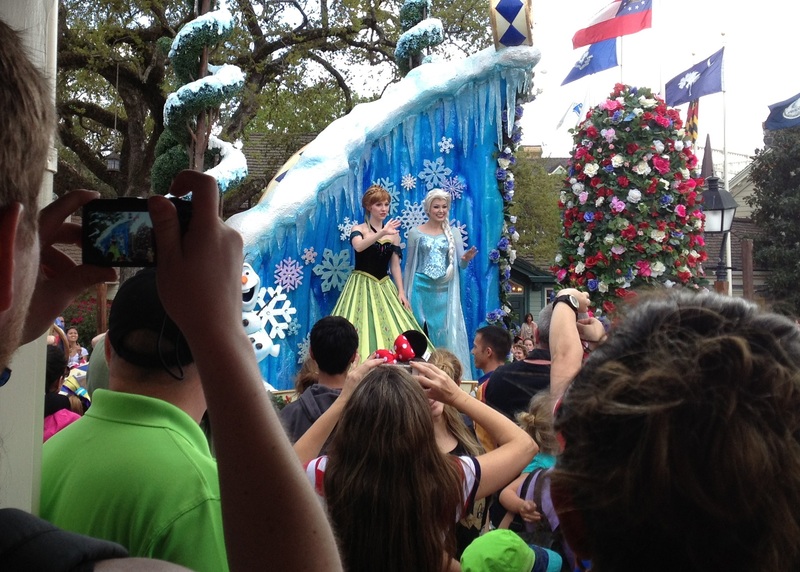 This parade featured Anna and Elsa from Frozen, which was nice because I had absolutely no plans to visit Epcot and wait in the 4 hour line to see them. 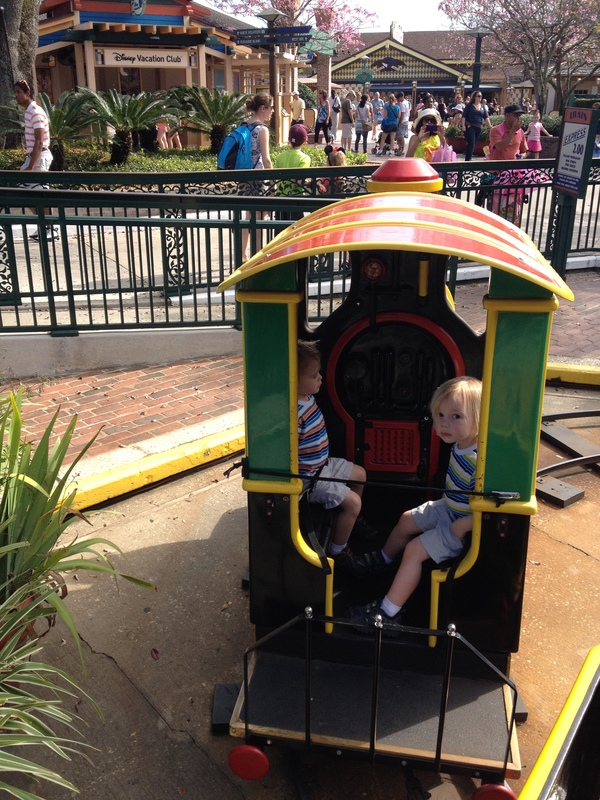 The boys woke up right before we were scheduled for dinner at the Crystal Palace. 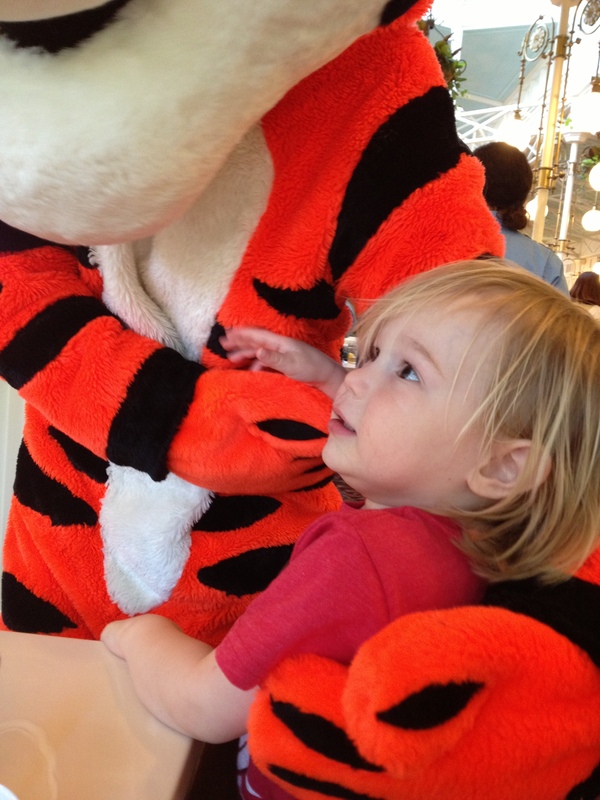 This is a character dinner we reserved in advance through the MyDisneyExperience website. As I mentioned before, N has a peanut allergy, so the chef came out and walked me through the buffet line to show me which items were safe and which ones cannot be guaranteed. We had plenty of options for him. 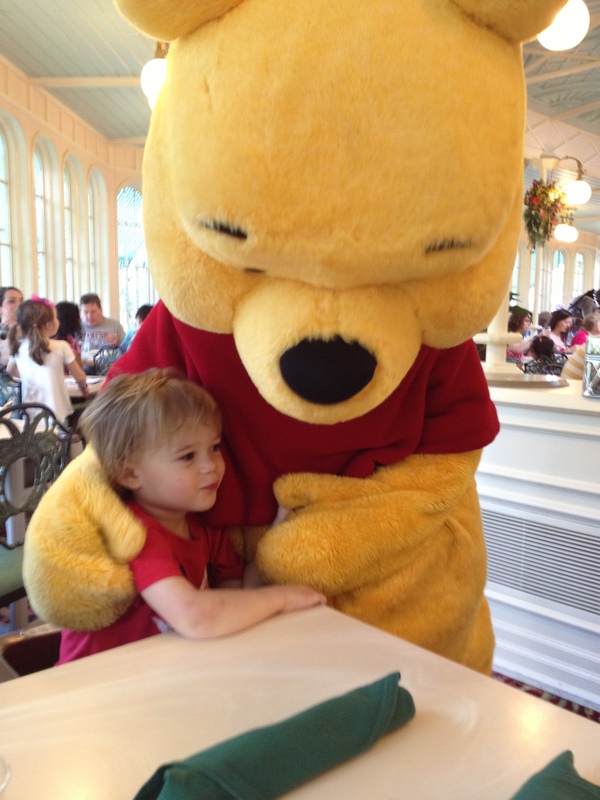 Both boys loved the Winnie the Pooh characters, who each visited every table in the restaurant. 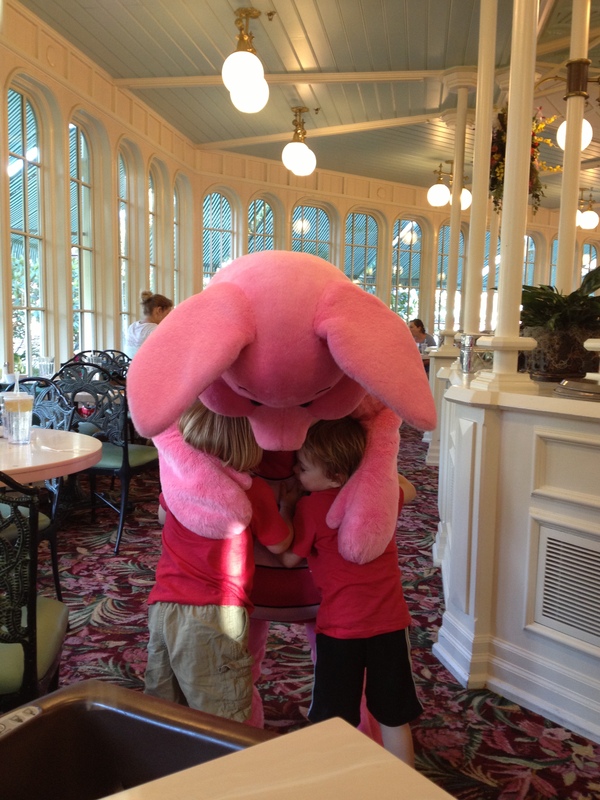 After dinner, we did a little shopping and the boys wanted to ride Dumbo a few times more. Dumbo’s queue has a nice feature – while waiting in line, you have the option to let the children play on a climbing structure and you will be called when it’s your turn to ride. Even though we didn’t have a line, we still let them get some energy out this way. These kids love to climb. We waited for the Main Street Electrical Parade, which ended up being a big mess. I think there must be a better way to organize it. We were seated in our roped-off area but as soon as the parade started people started pushing their way into the emergency lanes and the park employees spent the entire time trying to direct people back to the designated areas. Even though we were running out of steam, we stayed for the projection show (which was amazing) and the fireworks (equally amazing). Getting back to the parking lot and shuttle proved to be an ordeal, since the train line was a gazillion people long and we took the ferry. We were in bed by midnight, but needed to get up super-early again for the next day! I’ll try to post our Disney Day 2 experience within the next couple of days!